Sticks & Stones is now available! Sticks & Stones ebook is now available! 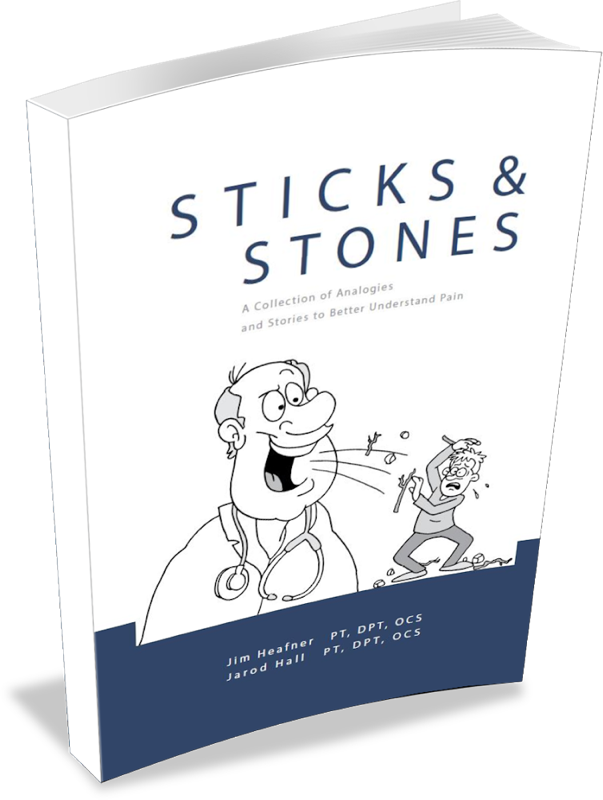 Sticks & Stones is a collection of analogies & stories created by Dr. Jim Heafner PT, DPT, OCS and Dr. Jarod Hall PT, DPT, OCS to help people gain a deeper understanding of the complex nature of pain. If you are experiencing pain, follow our patient resources button below for a list of evidence based pain and movement related resources! Sticks and Stones contains 50+ analogies to provide a better understanding of pain, movement, graded exposure, and tissue injury. The ability to understand someone’s needs and tailor one’s language toward these needs, can significantly influence the outcome of their situation. Throughout the book we use multiple graphs and tables to help people better understand how and why pain occurs. "At the center of the alarm system is your brain, which beeps when it THINKS something is going wrong or is potentially dangerous." Most people think pain is an indicator of the amount of tissue damage present in the body. The belief is that high amounts of pain equate to a large injury, and a small amount of pain equates to a small injury. However, through extensive research, it has been shown that pain has little correlation to the amount of tissue damage. For example, a paper cut may cause intense pain, while a broken bone may go unnoticed. In 2013, when Louisville basketball player Kevin Ware sustained a horrific leg fracture, he reported, "it was one of those things where I couldn't believe it. I honestly didn't feel the pain. It was more a shock." Traditionally held beliefs attempt to link “poor posture” or “bad movement” to one’s pain. 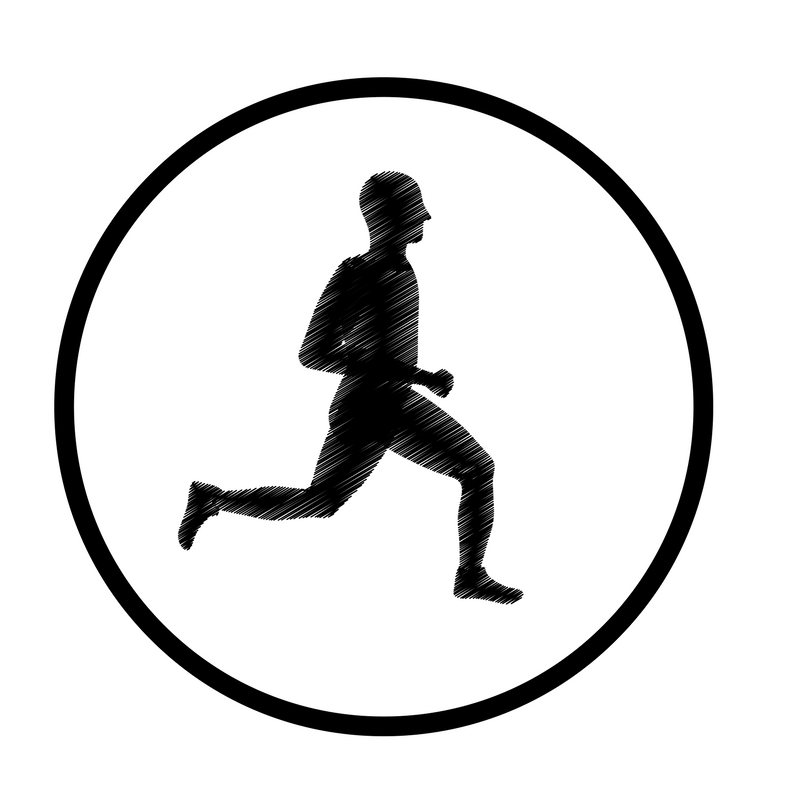 However, when discussing the literature surrounding movement and tissue damage, it is evident that “good posture” appears to be difficult to define, unreliable to measure, and mostly irrelevant to pain. In other words, the research does not support either “good” or “bad” posture when it comes to pain. The capacity to adapt and respond to the unique demands of different environments and tasks truly sets the human body far apart from a simple machine. The human body has the ability to grow stronger muscles in response to lifting heavier weights, to increase its bone density in response to loading, thicken its skin in response to friction, and more. Believing in the strength and robustness of the human body is often a first step to recovery and progress. Drs. Jarod Hall and Jim Heafner do a wonderful job explaining the multi-factorial experience of pain in a relatable way for the average reader and healthcare professional alike. I could not help but think of past and present patients that would benefit from reading some of the analogies and sections of the book. Sticks and Stones is a valuable resource for clinicians to learn about pain and improve their communication skills as well as a brilliant teaching tool and reference for patients. This book should be in every rehabilitation clinic. Sticks and Stones help guide clinical care beyond the baseline understanding of anatomy, physiology, and the like. It’s filled with easy-to-understand anecdotes for everything from chronic pain to mental health. It displaces common misconceptions I unknowingly carry into my clinical care. For instance, the “Understanding someone else’s needs” chapter goes beyond the physical manifestation of lower back symptoms. 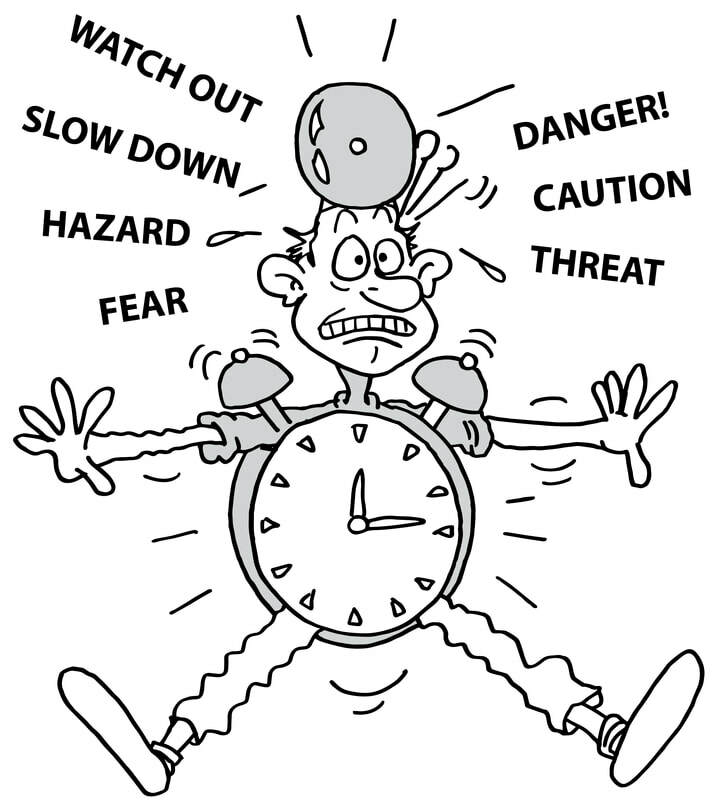 This includes not just the mechanical symptoms, but also the patients’ life story. Stress, family issues, and lack of motivation are all symptoms of her chronic low back pain. Sticks and Stones is the tool for new and experienced clinicians alike, I wish I had it when I first started practicing! As a personal trainer and someone who is always concerned about the how's and why's of pain and its signals, Sticks And Stones was a really great read. True to the words of the authors, anyone can read this and find benefit from it but it speaks loudest to those who feel they may never be able to live without pain. As any good book should, it informs and educates but it doesn't replace the hands-on approach of a qualified professional who can help the individual understand more about how to function in every day life without feeling broken. I absolutely love your book! I have been working as clinical faculty in China now for about three years, and I’m finding the idea of pain science to be literally “foreign” in this environment. Your book, especially with the analogies and simple exclamations, provide me with great learning tools for my Chinese PT students and patients. I keep hearing from patients how “professional “we are as clinicians when I use your references. Thank you so much for a great resource!